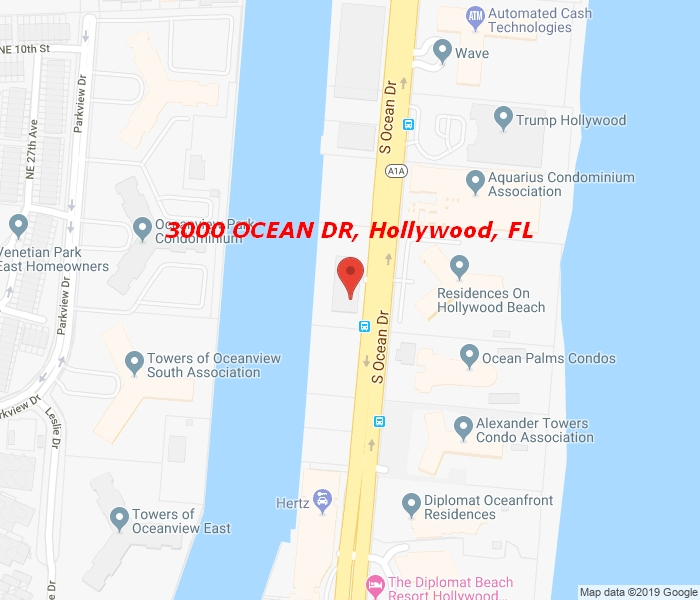 Fabulous corner unit with ocean-views in desirable Hollywood Beach! Three (3) walk-in closets, linen closet and coat closet. Large eat-in kitchen with granite countertops. Across the street from the beach with full access to the 3001 Residence building amenities. Resort style amenities include: 2 heated pools, gym, sauna/steam room, outdoor Jacuzzi, cabanas, grill area, tiki bar, social room, valet, and doorman. Pets under 20lbs allowed. Rentals are allowed from date of purchase for 6months min. Maintenance includes cable and internet. Minutes away from Aventura Mall, Hollywood Broadwalk, Margaritaville, Gulfstream, Ft. Lauderdale International Airport.